We carry our phone with us everywhere we go, whether it be our living room or work space, so why shouldn’t we venture into the kitchen with it? 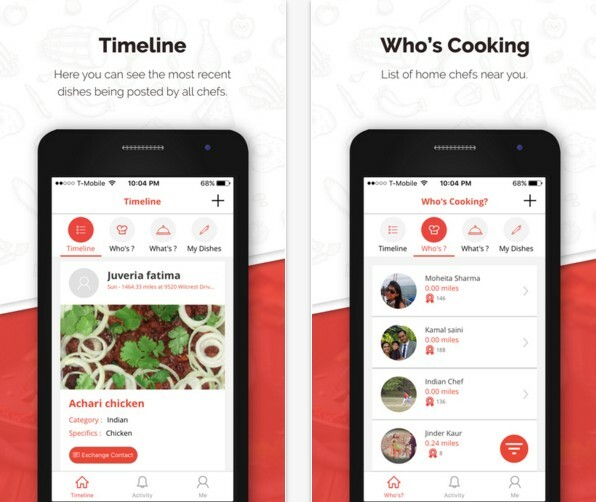 Cooking apps are the next step in the complete mobile takeover, allowing us to look for recipes, share our own dishes, look and offer cooking skills. All of this on our smartphones. There are many food apps, but how to find the one that will offer you all the features you need. We looked and found a great app for that purpose. Let’s talk about it. What is Chachi’s Homemade Food USA Exactly? This is a great and simple to use app for tracking and sharing homemade dishes. Developed on IOS and android platform, this app is one of the best choices for foodies. The users can look for homemade food in their area and contact other users about their recipes and the services they offer them. As a cooking lover, you can post and share your own dishes and better yet to offer your services as a chef. Create your profile and start an amazing cooking experience with this app! Easy and simple app, suitable for people that want to get new food experiences or share their cooking skills. Users can look for homemade dishes in their area and contact chefs about their recipes arranging details with them about their services. For users that consider themselves as people that know how to cook, they can create chef profiles and provide cooking services. Or, do you just want to share your homemade dishes? It’s simple, click on the + icon and share dishes with users with details about the dish. The users can share the app with people to expand the network and get more people interested. No worries, your location info is highly protected. Users choose if they want and with who they want to share location details. Get the app for free and enjoy!